Trichy Zonal Yoga Teachers Association and Chennai Medical College Hospital and Research Centre organized Yoga program in Trichy and the organizers appreciated and said ‘SEVAI Shanthi Matric Higher Secondary School students excels well in YOGA”. 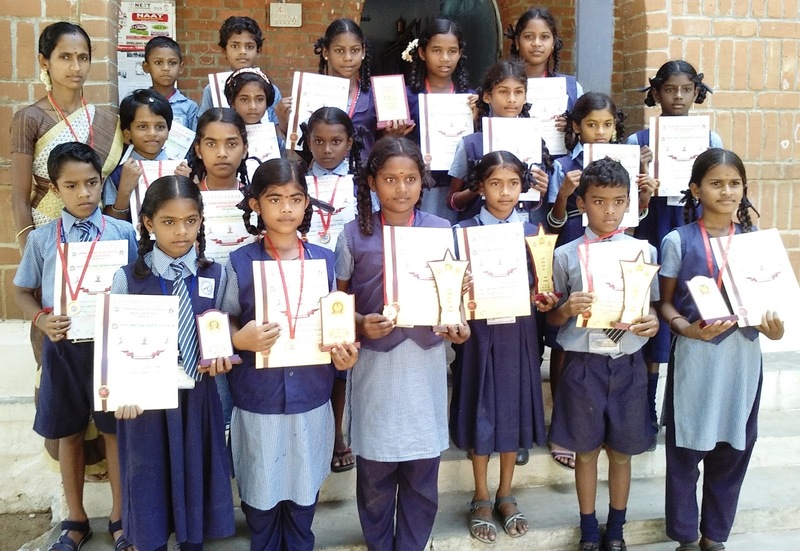 The organizers handed over participation certificates to the yoga performing students. The Yoga trainer Nadhiya mentioned in the school that the students were enthusiastic in yoga performance. The Principal of SEVAI Shanthi Matric Higher Secondary School,Mrs.Chita Balasubramanian appreciated the participants and said, “Yoga can help cultivating motivation, growing internal locus of control, improve sleep, and generally encourage healthy and balanced living. Yoga also motivates stress management; improve academic performance, self-esteem, classroom behaviours, concentration, and emotional balance. Yoga is a holistic, comprehensive approach to stress, and can offset stress by providing a moment of pause amidst all the activity.